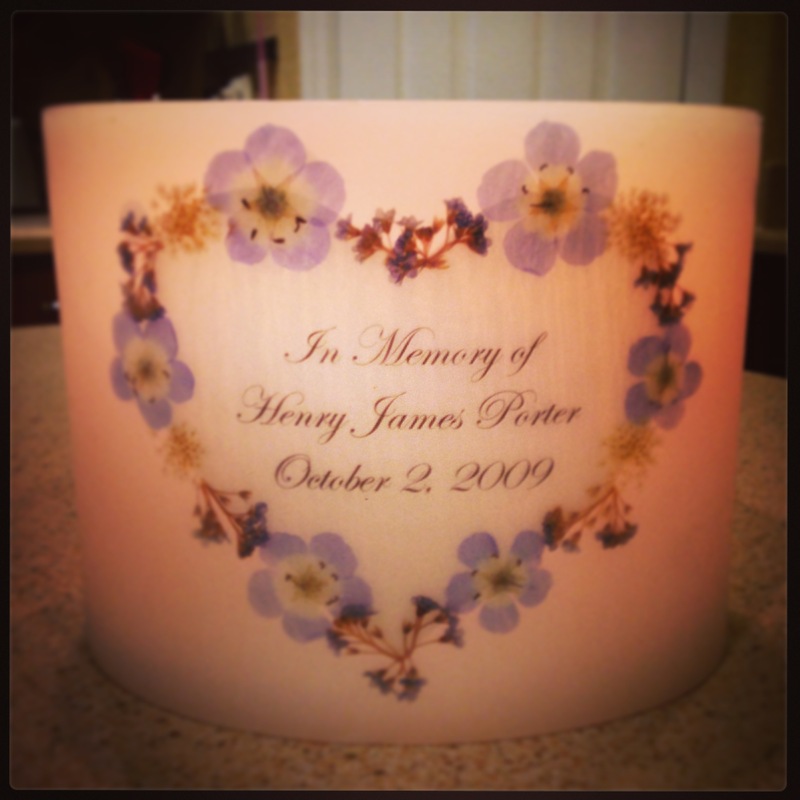 Yesterday marked the 5th anniversary of our losing Henry. I think about him so often. I see him in the sweet, fun-loving, energetic sons of my friends. I know he is with us in spirit as we go about our daily lives. We have always been open with Gwennie about her baby brother. He is a part of her life too. Sometimes I think the reasoning behind her compassion is because she experienced loss at a young age. We didn’t hide it from her. 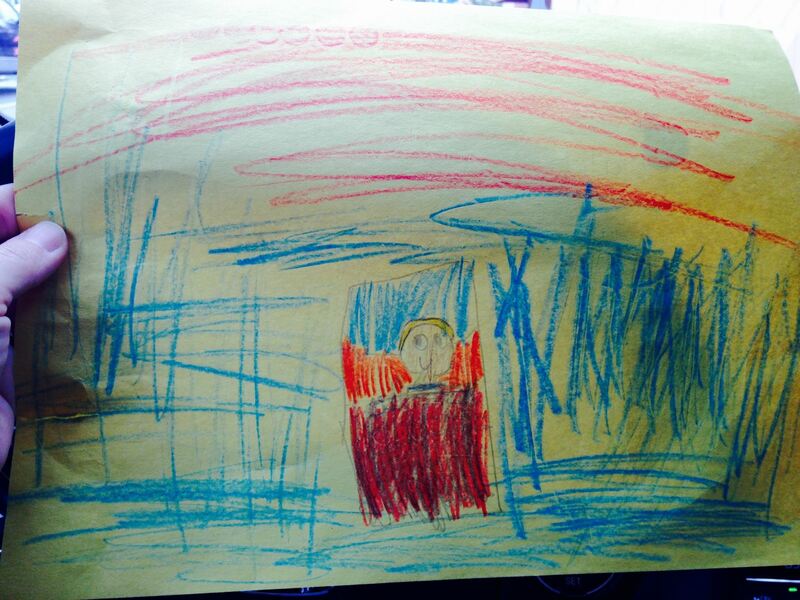 Yesterday, Gwennie came home with a beautiful card made by her classmates. 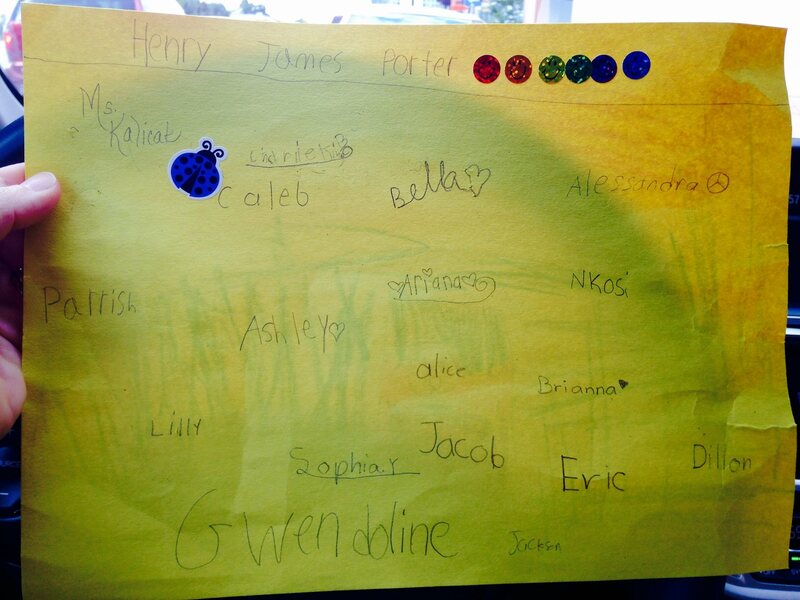 Apparently she had told her teacher about Henry’s anniversary and the class had said a prayer for him. I was doing pretty good until she gave me that card! My heart just exploded! Yesterday we received an outpouring of love from friends and family who remembered Henry with us. We are so truly grateful and thankful to all those who are not afraid to say his name and honour his existence. And no picture in a frame. Bill and I are both so grateful to our parents for always keeping Henry’s memory alive. October is the month for Breast Cancer Awareness. Would you consider adding a little blue to your pink ribbon? 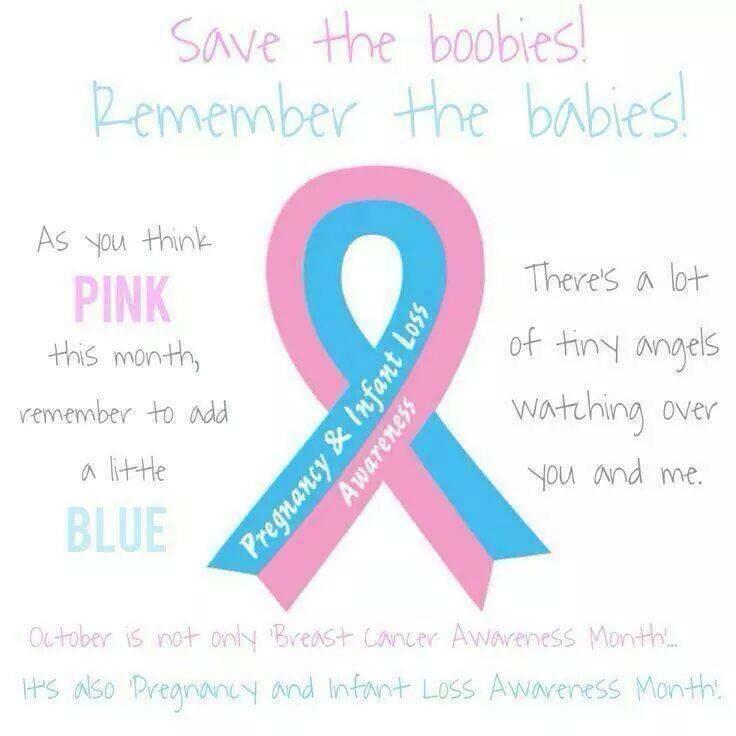 It is also Pregnancy and Infant Loss Awareness Month. 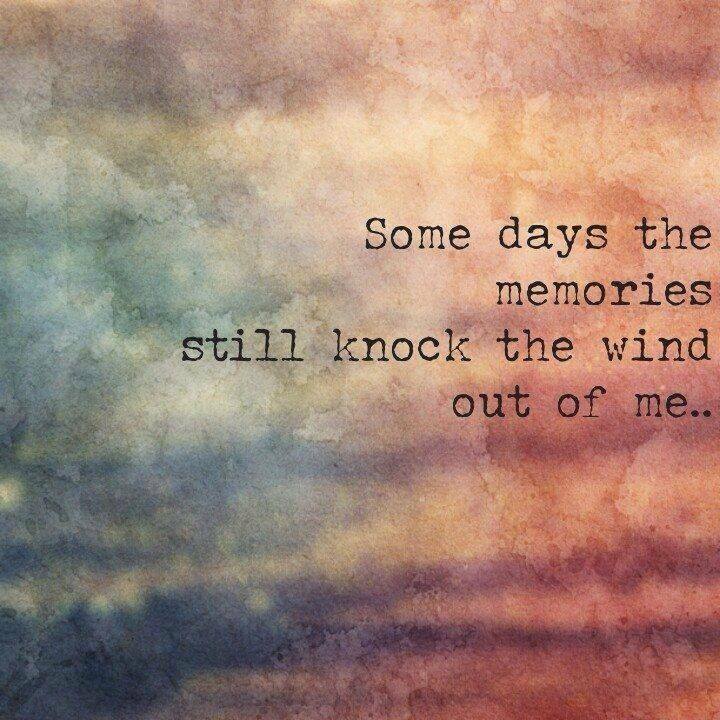 October 15th is, not only mine and Bill’s wedding anniversary, but is Pregnancy and Infant Loss Remembrance Day. Please join me in lighting a candle for all the sweet babies who were taken from us too soon.